To find out which correct dimensions must have a tennis court and badminton court, we consulted the International Federations of each sport. These organizations dictate the regulations and norms of their respective activity. They also specify the specific measures that the field of play must have. Parallel and on each side of the network, two lines will be drawn between the lateral lines. These lines are called serve or service lines. The area that is delimited is divided into two equal parts called function tables. The service center line shall be drawn parallel to the individual sidelines and equidistant from them. The center service line and center mark must be 5 cm wide. The other lines of the track can measure between 2.5 cm and 5 cm wide. Except for the bottom lines, which may be up to 10 cm wide. All court action needs to be taken on the outside of the lines. All the lines of the field must be of the same color so that they contrast clearly with the color of the surface. 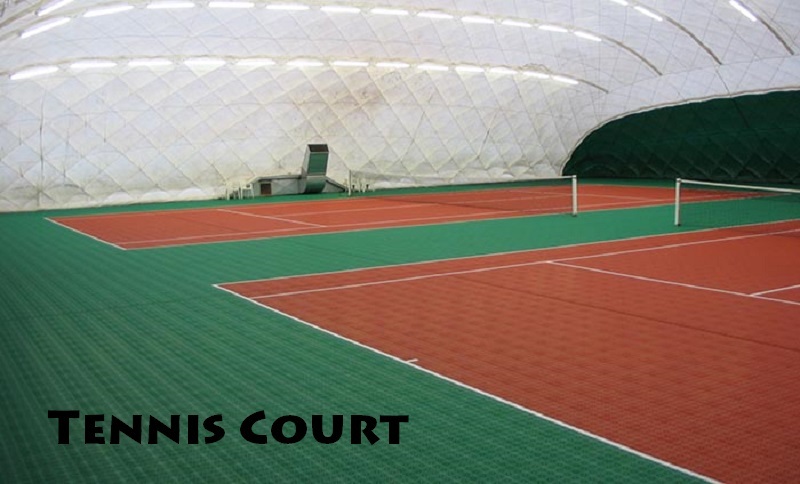 For indoor or outdoor tennis courts, Bergo Tennis polypropylene tiles are the best alternative. They offer excellent ball rebounds, good friction, and elasticity. They have excellent resistance to sunlight and extreme temperatures, and their perforations facilitate the evacuation of water and a quick drying. The International Tennis Federation (ITF) has awarded them a 4. Medium-Fast rating. A badminton court is also divided into several zones by the so-called short service line and the long service line for doubles, both parallel to the network. And these zones are, in turn, divided into two equal parts that are called the right and left service box respectively. The lines delimiting the field must have a width of 40 mm. Also, they should be easy to distinguish and preferably be white or yellow in color. We must keep in mind that this sport can be practiced both indoors and outdoors. 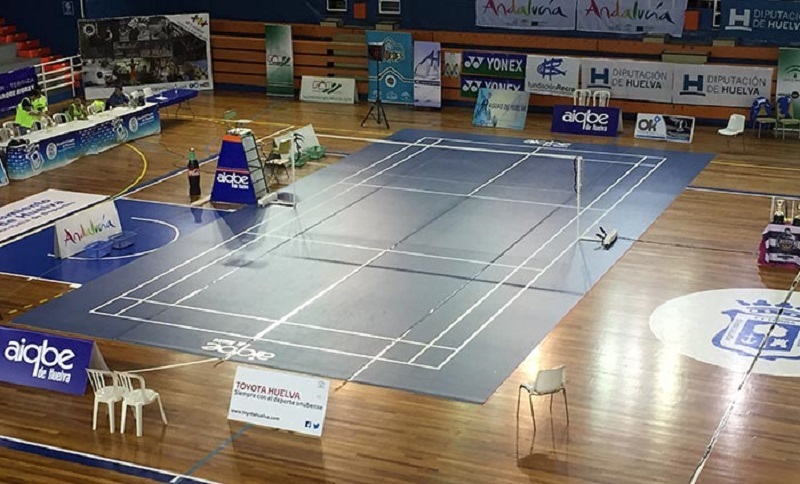 In Supreme Floors we propose different types of pavements for badminton tracks: vinyl floors in Sports rolls, for interior badminton fields. They are made in 6 thicknesses (from 2 to 8 mm) and rolls of various sizes. If the tennis courts are outside, Bergo Tennis polypropylene tiles are an excellent choice. They withstand harsh conditions, allow rapid drainage of rainwater and are unaffected by sunlight or extreme temperatures.